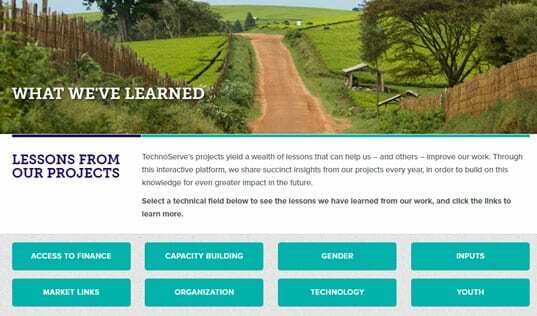 Kate Scaife Diaz, TechnoServe’s Director of Impact, discusses results from TechnoServe entrepreneurship projects and highlights how our data shows similar impact among the men and women we work with. This article is part of our month-long #SheFightsPoverty blog series in honor of International Women’s Day 2018. In the United States, the gender pay gap means that women earn 73 cents for every dollar men earn. In Scandinavian countries, where policies explicitly aimed at ending pay discrimination have received wide acclaim, women’s pay is still almost 20 percent lower than men’s. But in the countries where TechnoServe works to promote entrepreneurship – from Chile to Nigeria – the gender pay gap can be far worse. Even when women own their business, they tend to earn less than their male counterparts. Women are more likely to close their shops early so they can get home before dark or attend to domestic responsibilities, foregoing additional revenues they might otherwise have earned. They run the risk of their husbands, fathers, or brothers claiming a portion of their earnings, reducing their ability to invest in and grow their business. They often enter pink-collar industries, such as beauty salons, that have smaller margins. With fewer assets in their name, women are hindered from accessing finance at the same levels as men, and even in developed economies women face discrimination when they try to obtain venture capital and other finance. A recent study found that demand for goods from women-owned firms was lower than demand for similar goods from firms owned by men, suggesting that gender-based discrimination plays a large role in explaining the gender profit gap. 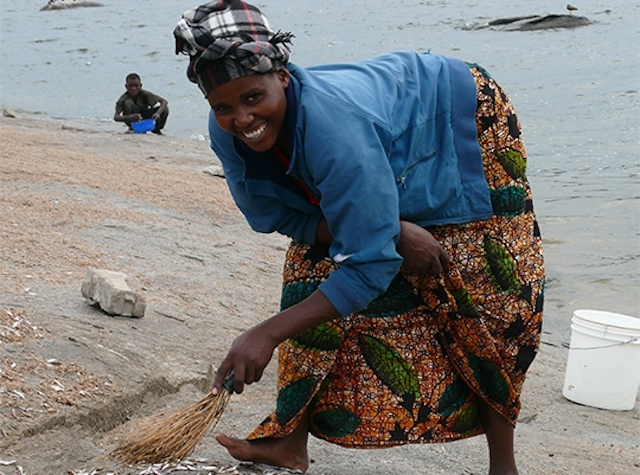 Judith, a participant in TechnoServe's Business Women Connect program, would often find that her husband had removed funds from the box where she stored savings from her sardine business. We've seen numerous examples of the constraints women face when growing their businesses in our work around the world. 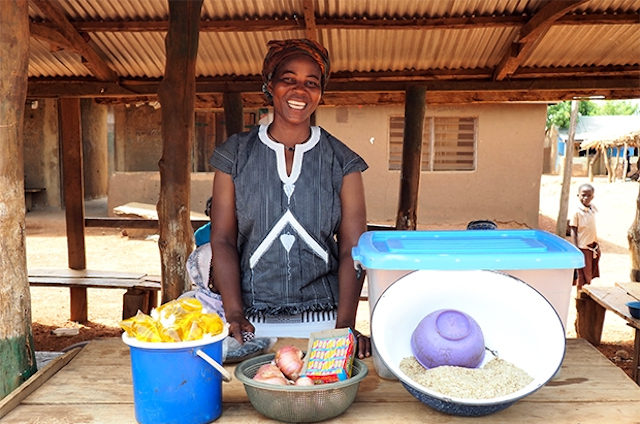 Judith, a participant in our Business Women Connect program, would often find that her husband had removed funds from the box where she stored savings from her sardine business. She remembers, “[Once] I lost a big deal because I had no money for bags to transport sardines to a new customer. I checked my savings and nothing was left. This caused a big loss to my business.” In El Salvador, Lorena – an entrepreneur in the Impulsa tu Empresa program – was so consumed by the day-to-day operations of her taxi service and raising her two teenage children on her own, that she struggled find the time to take a step back and think strategically about her company’s growth. We strive to reach as many women as possible within our entrepreneurship programs, where we aim to directly address the challenges they face. We’ve had stunning success so far. Across our portfolio of 19 entrepreneurship projects in over 15 countries in 2017, women-owned businesses accounted for almost 70 percent of our beneficiaries – that is, the businesses for whom we have evidence of an impact. We weren’t satisfied with just knowing that we were reaching more women than men, though. That’s why last year we worked with Delta Analytics, a San Francisco-based data science firm, to analyze datasets from our entrepreneurship projects in 10 countries around the world in order to identify trends in our impact, including any variation in how our support to men and women affected their business outcomes. 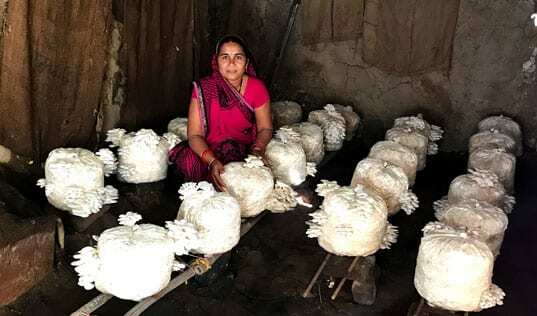 The results of their work reaffirms for us the value in addressing the constraints on women entrepreneurs’ growth, and the need to do more still. The results, illustrated in the graph below, found that TechnoServe-supported businesses grow at similar rates, regardless of whether they are run by men or women.1 On average, businesses led by women grow 50 percent over their baseline levels, the same as businesses owned by men. Averages can be deceiving though, since a few very fast growing women-led businesses can bring up an average growth rate, even as most women’s businesses grow more slowly than men’s. Not so in our results: we find enormous consistency across all growth rate increments for both women and men. For example, 15 percent of women-led businesses grew up to 10 percent during their time working with us; it’s 16 percent among businesses led by men. A whopping 20 percent of women and 23 percent of men saw their businesses grow by more than 60 percent. 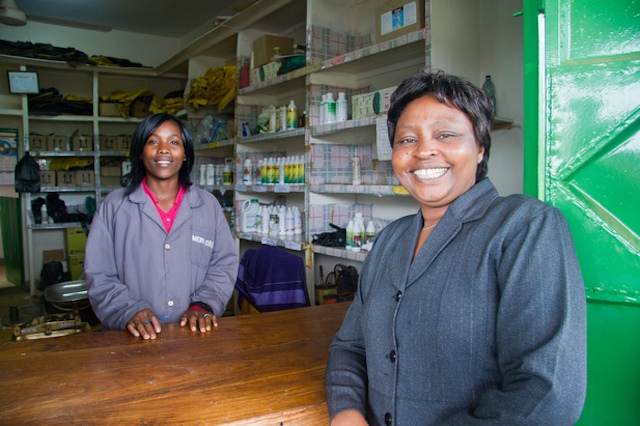 TechnoServe-supported businesses owned by women perform similarly to businesses owned by men across all growth increments. 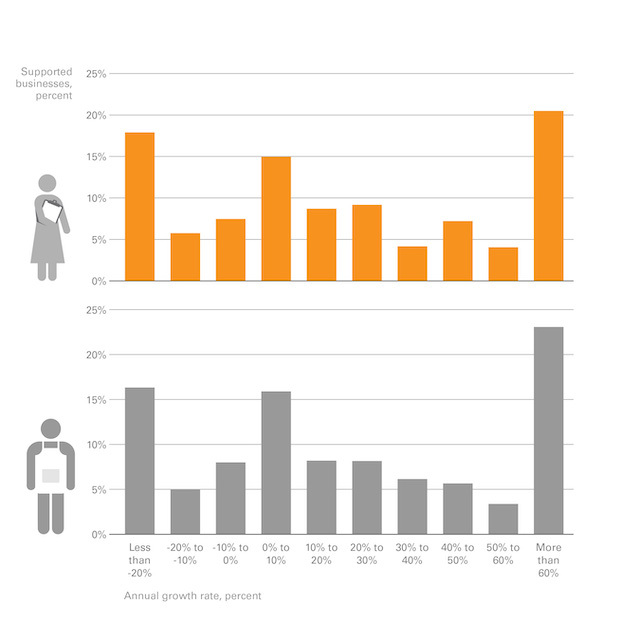 Frequency of growth rates among women- and men-owned businesses supported by TechnoServe. Women's performance remained in step with men’s across the board, including among businesses that did poorly during the time we worked with them. About 30 percent of men and women-led firms reduced their earnings, some of them even closing up shop altogether. Of course, our aim is to help all the businesses we work with to grow, but sometimes the path to growth isn’t straightforward. We often recommend businesses make investments that cause short-term revenue losses, with expected long-term gains. In other instances, we help an owner recognize they aren’t competitive and should exit the market. Undoubtedly, there are times when our advice to a business wasn’t right, or wasn’t sufficient, and we contributed to negative growth. While certainly not our aim, we’re somewhat heartened by that fact that women are no more likely to see revenue losses than men. It’s important to note that these findings do not denote our impact among these businesses. Businesses grow (and fail) for many reasons. The economy or industry may be strong, the entrepreneurs’ own perseverance will play an important part, and the age and size of the business is likely to have an influence. Firms that are just past start-up – the so-called toddler firms – are more likely to grow, especially when they receive business services. And indeed, our own support is an important contributing factor. These results don’t tell us how much TechnoServe’s business advisory has contributed to the firms’ growth, but we do know one thing: typical firms in the countries where we work grow very little on average each year. Firms led by men grow by about 1 percent a year, while women-led firms actually see an average 2 percent reduction in revenues year over year. Considering average firm growth is so low – even negative – we are confident that TechnoServe’s business advisory services have strongly contributed to these firms’ growth. Moreover, recent evidence from randomized control trials further bolsters our confidence. The finding of gender equity in firm growth rates is certainly a welcome one, but it’s also somewhat surprising. Since women-led businesses face greater constraints to growth, we might expect that men are better able to leverage the support we provide them. For example, they might be better able to work late and reorganize their financial system, or implement our recommendations to find new suppliers by leveraging a wider network. We think that we’re able to have equitable effect on the growth rate of women-led businesses precisely because we actively address the constraints women face. 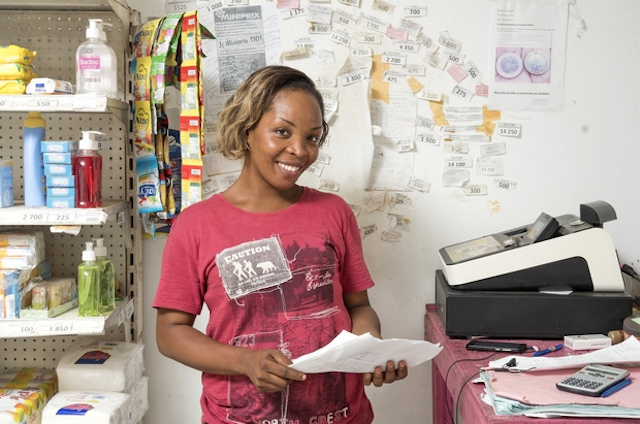 The Business Women Connect team worked with Judith to set up a mobile savings account on her phone, allowing her to keep her business income secure. Combined with the business training she received through the program, she increased her savings and reduced her withdrawals for business expenses, and has completely separated the money from her personal funds. Meanwhile Lorena worked with the Impulsa tu Empresa team to create new marketing and incentive schemes to increase customer loyalty. “When you are a lone businessperson you can get absorbed in the day-to-day management and lose sight of the strategy.” she explains. “ITE provided me with the tools to be more strategic.” Flexible schedules and the availability of makeup sessions helped both women to work training around their household responsibilities. Flexible schedules and makeup sessons helped Lorena to balance her household responsibilities and business training meetings. She increased her taxi service revenues by 38 percent. While we’re pleased to have this rigorous, multi-country analysis of gender equitable impact, we know there’s more work to do. Since women-led firms tend to be smaller – in terms of annual revenue – than firms led by men, the fact that we’ve achieved equitable growth rates across men and women-led firms doesn’t mean we’ve reduced the gender gap. In fact, in terms of gross revenues, businesses run by men are earning more than businesses run by women. We’d like to see our support to women start to help them close that gap. We’re also interested in tackling gender discrimination that occurs within our projects. Last year, a report from Emory University’s distinguished research center, Social Enterprise @ Goizueta (SE@G), found that women entrepreneurs participating in TechnoServe’s Impulsa Tu Empresa business accelerator project show higher revenue growth when coached by a woman mentor, and that men similarly perform better when advised by men. Somewhat discouragingly, growth rates drop substantially when the opposite gender is paired, most dramatically for a pairing of a male business owner with a female mentor. This points to the need to better sensitize both men and women, mentors and mentees, to implicit bias they may carry when working with partners of the opposite gender in order for entrepreneurs to optimize their business transformations through our programs. Still, we’re proud of our achievements so far. Having this analysis available for the first time ever allows us to dive into these conversations with project teams, potential partners, and business owners themselves so we can work together to tackle the challenge of the gender pay gap. 1. Growth rates are calculated by comparing revenues observed during the project with baseline revenues. Whenever possible, observations are based on three or more monthly revenues at both time periods, matched to their comparable month (Jan endline : Jan baseline, Feb endline : Feb baseline, etc.). Growth rates reflect overall business revenue growth over the observed time period, to which TechnoServe’s business advisory services were an important, but not the only, contribution. The 1,758 observations in this dataset come from 11 projects implemented in Benin, Brazil, Chile, Cote d'Ivoire, El Salvador, Ghana, Guatemala, Honduras, Kenya, and Nicaragua. Average business growth rates in economies where we work is sourced from the World Bank Enterprise surveys.